This past weekend I had the pleasure of helping with a baby shower for a special Mom! My best friend’s daughter is having her first baby and it’s a BOY! I’m so excited for her and was honored to play a part in her special day! Now, I can’t take all the credit for how this beautiful shower came together – my friend, Cindy (mom of the mom-to-be), Kelsey (sister of mom-to- be), Peggy (family friend and Kelsey’s mother-in-law), and Lori (mom of dad-to-be). We all had so much fun planning this baby shower for Lorea and her “Little Man”. 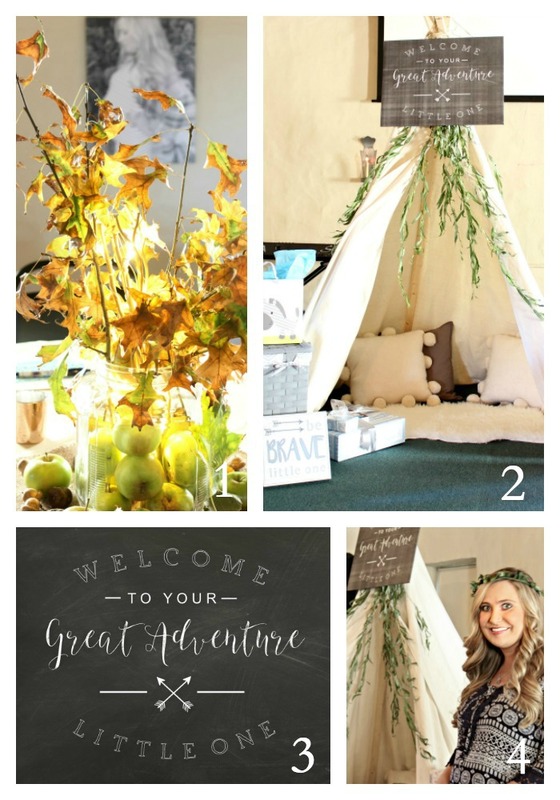 We chose a woodland theme for the shower and found so many wonderful ideas on Pinterest. So, right off the bat, I don’t want to take full credit for some of these ideas. I made the no-sew tee pee based off a tutorial I found on Pinterest. It was super easy and there are a LOT of tee pee tutorials on Pinterest if you’d like to make one! The moss letters spelling out BOY are paper-mâché letters purchased from the craft store. I used a glue gun to attach sheet moss to each letter. This wasn’t hard to do, but was a bit messy – and totally worth it! Kelsey made the adorable Baby Kepiro chalkboard banner and hanging triangle shapes. To hang these, hubs mixed concrete in two buckets from Lowe’s and set the two tall branches in the center to set. When the concrete was set, I covered the buckets with burlap. It made the perfect backdrop behind the Mom-to-be’s chair. Photo 1: For table centerpieces, we filled assorted glass jars and vases with apples, battery operated lighted sticks (purchased at Christmas Tree Shoppe) and Fall branches I picked up from the local garden recycle center! The shower was held in the evening and these centerpieces created such a warm glow! We also sprinkled more apples, leaves, and acorns around the base of each centerpiece. 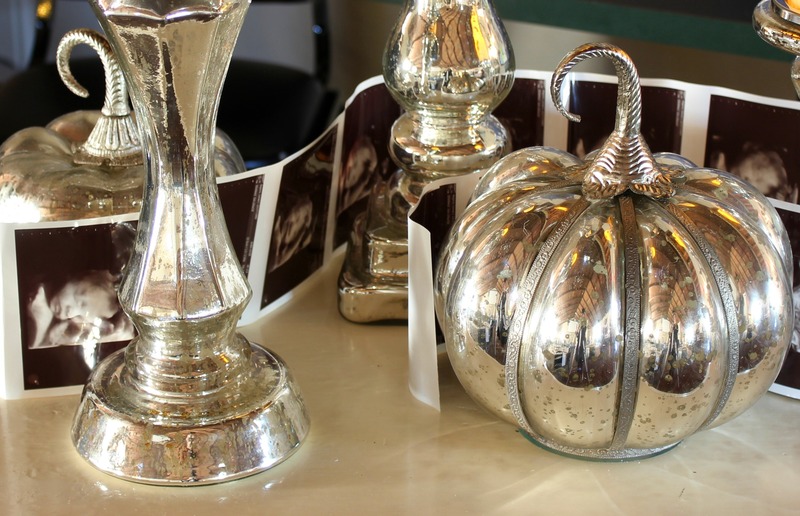 Then, we added gold mercury glass votives to each table. I had these from Josh and Sarah’s October wedding two years ago (I’m so glad I kept them)! I purchased them at Michael’s and they still carry them. In the background of Photo 1, you can see a black and white photo of the image above. 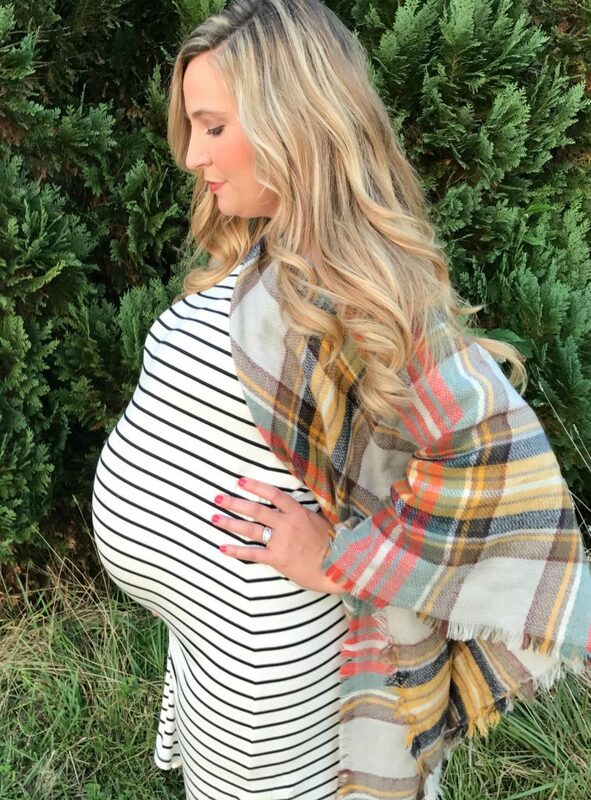 Lorea is a beautiful Mom-to-Be and her talented sister, Kelsey, took the most amazing pregnancy photos of her just a few weeks ago. They all turned out so good, that I had several made into 18″ x 24″ photo enlargements that we hung from wall sconces around the room. I’ve shared before how you can make black and white enlargements at Staples (or other copy centers. These enlargements are so inexpensive to print as black and white engineering prints. I attach the prints to foam core board from The Dollar Tree. Fold the edges of the print over the back of the foam core and tape to secure (like you would wrap a package). It’s so easy to do and makes a big statement! Photo 2: Again, the tee pee was so easy to make. I literally made it the evening before the shower. I texted my son (who was going to be out late) “just to let you know, there’s a giant tee pee in the living room”! He just texted back – ok! My kids know me so well!!! I made the chalkboard printable (also enlarged at Staples as an 18″ x 24″ engineering print) and hung it at the top of the tee pee. The branches hanging from the tee pee are weeping willow branches. I also picked them up for FREE at the local garden recycling center! 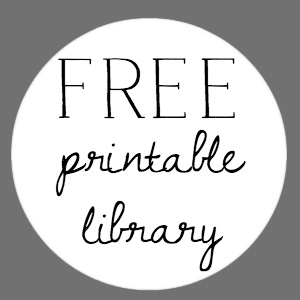 Photo 3: This is the chalkboard printable. Photo 4: This is Mom-to-Be, Lorea, at the shower. I made her a little crown made with floral wire and branches from my bridal veil bush. She looks so adorable wearing it! 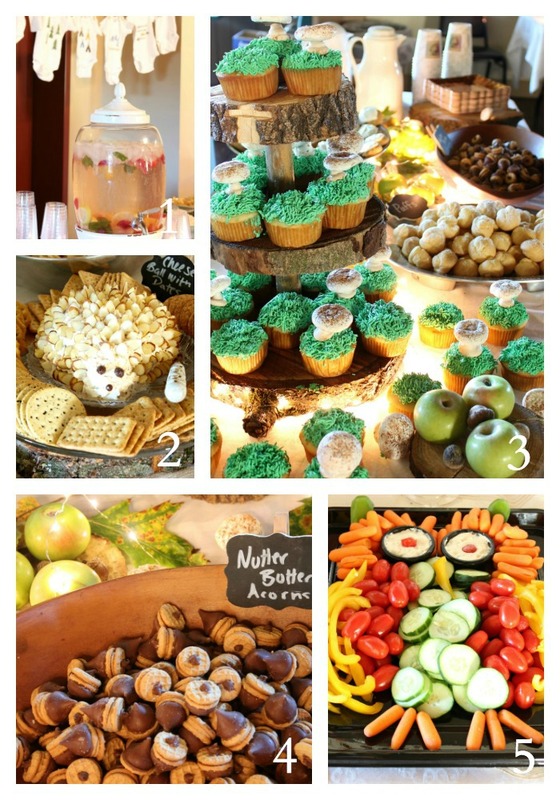 The above collage shows some of the amazing food served at the shower! Photo 1: Fresh fruit and mint water. In the background, you can see a clothes line of onesies that Kelsey and I hand painted. We found the templates HERE. Photo 2: The hedge hog cheese ball made by Lori was so adorable and delicious! Photo 3: These homemade meringue mushroom cupcakes were the star of the dessert table. Cindy made the cupcakes (recipe HERE), and Kelsey decorated each one! Those mushrooms were so realistic! You can see how to make those meringue mushrooms HERE. Peggy’s hubs made the amazing wood slab three tiered stand! Photo 4: Cindy made the cute Nutter Butter acorns! So adorable and yummy! You can find the tutorial HERE. Photo 5: Another eye catching display – this owl veggie tray was created by Lori! The eyes are little containers of dip with tiny cherry tomatoes. Because the room was dark, it was really hard to capture good shots of all the details – like the amazing arrow garland Kelsey made hanging from the food table. I’m so disappointed my picture of the individual S’more favors didn’t turn out! They were so adorable! Here’s one last picture. I couldn’t capture the entire vignette, but it was mercury glass pillars with birch candles and mercury glass pumpkins with images from the 4d ultrasound of “Little Man” woven through. Aren’t those ultrasound pics amazing! 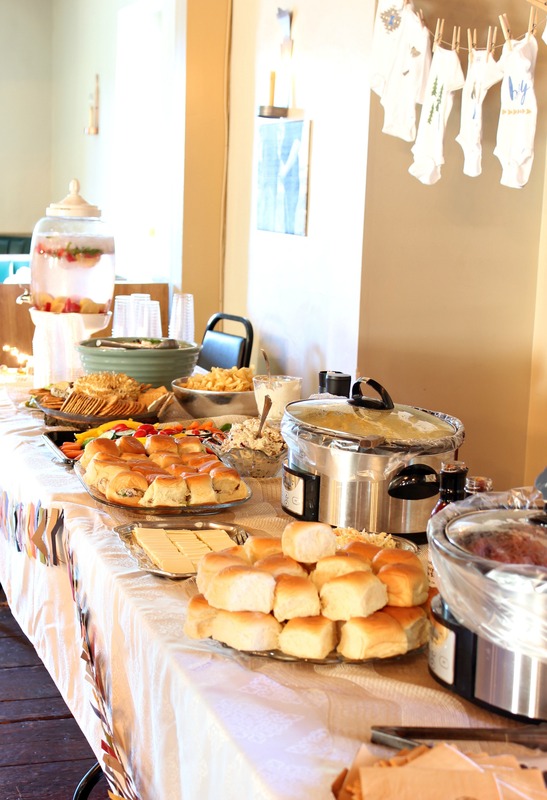 I’ve helped plan and help with quite a few baby showers and here are a few tips I’ve learned along the way. 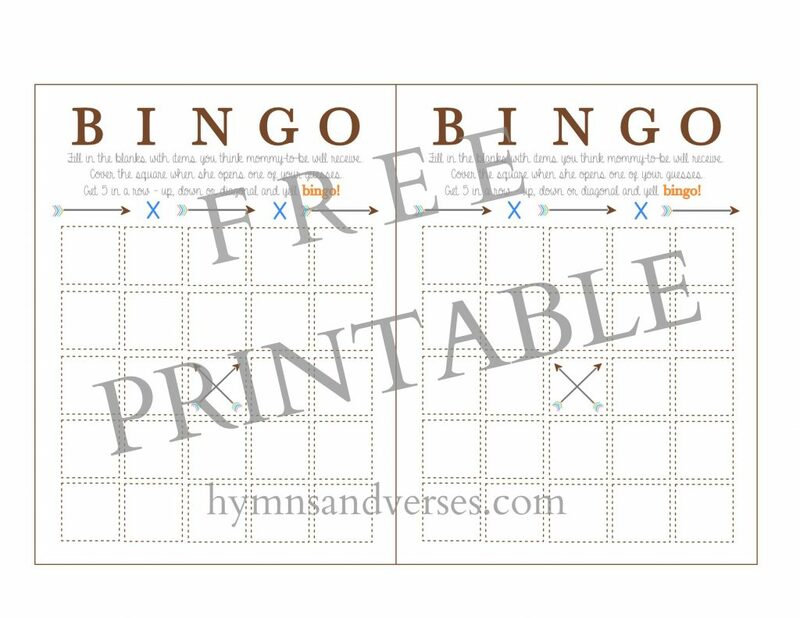 Tip 2: The best game for a baby shower (or bridal shower) is Bingo! It really helps guests pay attention when the gifts are opened. I made these cards for Lorea’s shower to match the theme. Feel free to use them. We used acorns and acorn caps on the table to cover the squares, but making an “X” with pen or pencil would be fine! 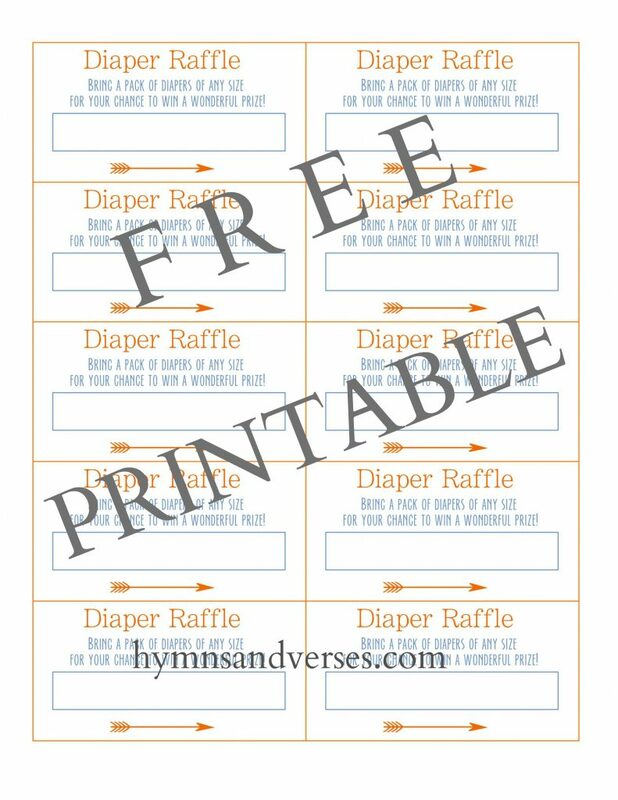 Tip 3: Have a diaper raffle. Include a ticket with your invitation for people to bring to the shower with a pack of diapers (any size). Have a container at the entrance for guests to place their ticket and a designated place for the packages of diapers. During the shower, have someone pull tickets. Cindy had a table for prizes for this and Bingo that the winners could choose from. Here’s the raffle ticket I made for this shower. 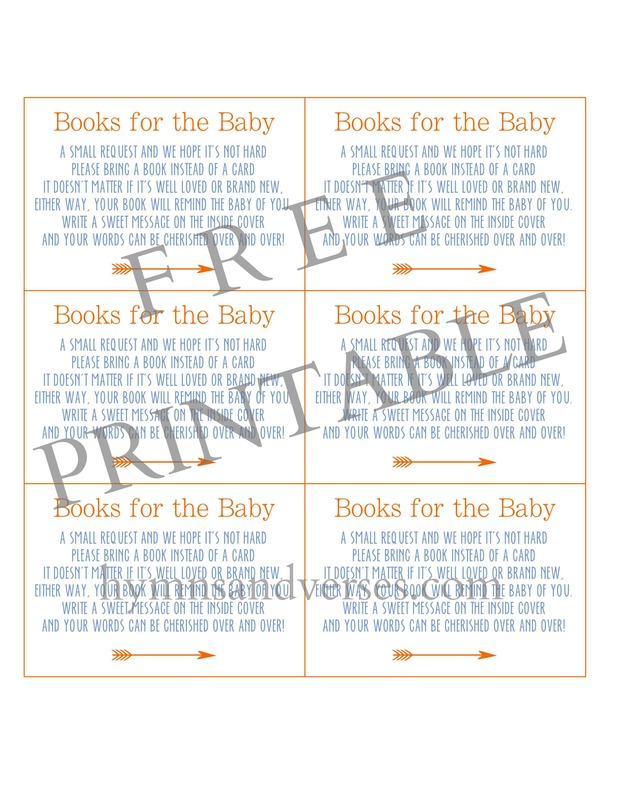 Tip 4: Instead of a card, have guests bring a special book for the baby. I absolutely love this idea! The times I spent reading with my children is a treasured memory. Have guests write a special note inside the book cover. Here’s the note that was inserted into each invitation. I hope you enjoyed seeing some of the details from this special day! I had so much fun helping and can’t wait to meet “Little Man” in December! cute and very different theme. These photos turned out great and really tell the story! 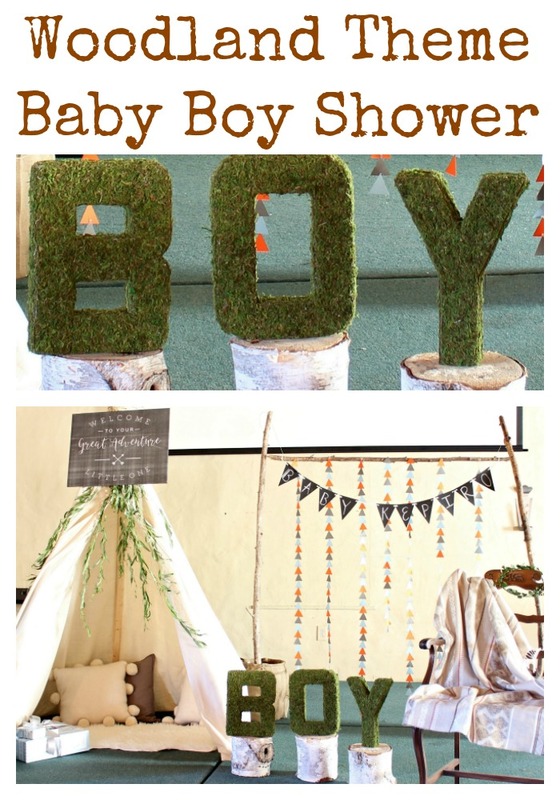 I absolutely love that theme and all the details to show it, who knew a baby boys shower could be so adorable? This little man is well loved already. As always, love your style Doreen! 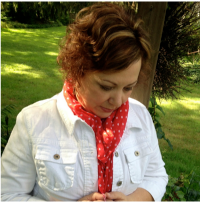 Peggy – you helped so much and was so fun working with you! Will see you early Saturday morning!! 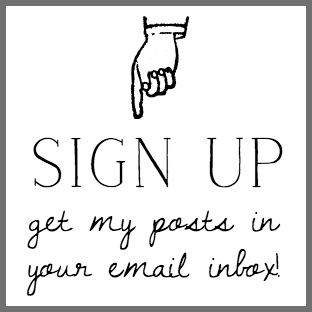 You captured the shower so well on your blog! Can’t thank you and Peggy enough for helping us bring it together in such a magical way!! So thankful for such an amazingly talented friend! I’m so very blessed! Everything is so adorable. Thanks so much for sharing the good ideas. The mom-to-be is blessed to have such wonderful family and friends who love her and show it in such practical ways. My daughters shower is next weekend. I got some cute ideas!! She has her childhood tent but I never thought to put a sign above it. I didn’t buy the iBox so I hope I get a few things done for decor. She loves bison so that’s another added animal!!! I pray I can do my small part–making honey straw sticks into arrows ( new thing my beekeeper hubby is making to sell). I’d best be resting. There’s lots to do!!! So blessed to work with these amazingly talented ladies to create an awesome baby shower for Sheldon and Lorea ? Now just waiting for this loved baby boy to be born?